The South Korea instant noodle buldak ramen has gone global. An instant noodle from South Korea has gone global. The noodle, officially called buldak ramen, became popular in Seoul after YouTube users took on the "fire noodle challenge," which requires a person to consume the incredibly spicy food as fast as possible. The noodle's chewy texture reminds Koreans of topokki, a snack food made of rice cake and hot pepper paste. 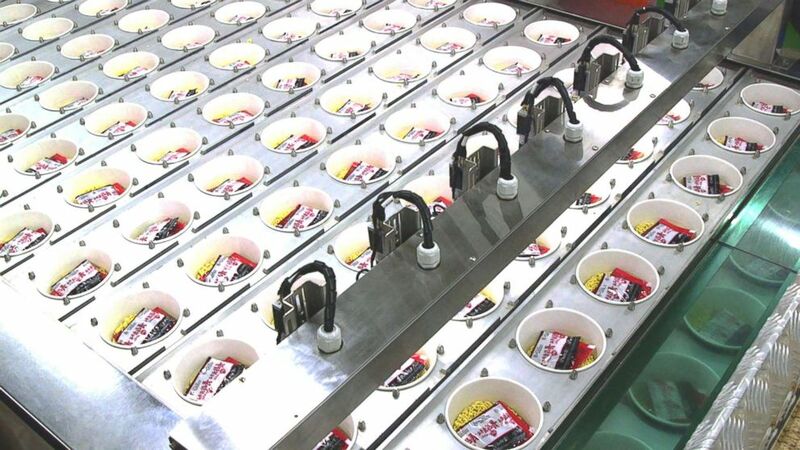 (ABC News) Buldak ramen ready to be exported abroad is pictured at the factory. There are more than a million videos on YouTube of people trying the fire noodle challenge. Some are gasping for air, running for a glass of water or even crying after tasting the hot and delicious instant noodle. The notorious buldak ramen made its debut in the instant noodle market in 2012, targeting spicy food lovers. 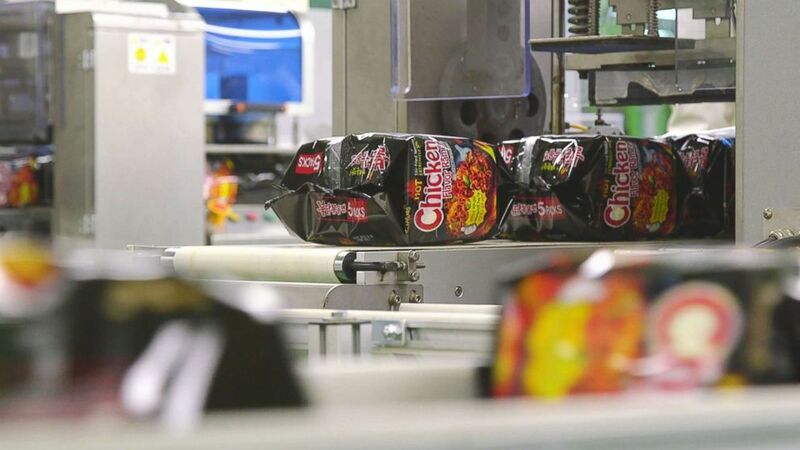 Kim Jung-soo, president of Samyang Food, the maker of buldak ramen, said two tons of sauce and over a thousand chickens were used to develop the recipe. (ABC News) A team of Samyang Food researchers taste a new instant noodle in their lab. Then the company targeted "young and audacious people who would challenge themselves with spicy instant noodle for fun,” Won Joo-yeon, who leads the instant ramen soup team for Samyang Food, told ABC News. To keep up with consumer demand, Samyang Food is constantly trying different variations from its original version, such as cheese, curry, mala and carbonara. One of the variations, "extremely spicy buldak ramen," has earned the title of the spiciest instant noodle sold in the market. (ABC News) Korea?s Samyang Food makes the infamous buldak ramen. Last year, buldak ramen-related sales set a record, doubling its profit from 2016, according to Samyang Food. Exports to the U.S. have also skyrocketed in the last 12 months.